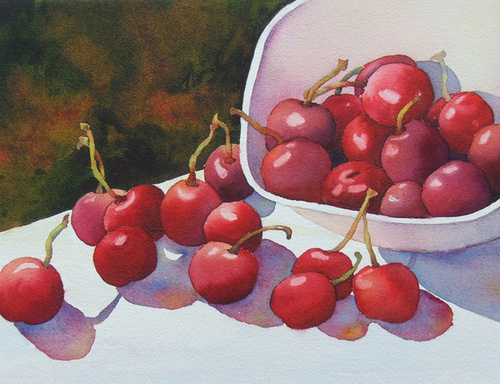 A still life of a bowl spilling over with luscious cherries is the subject of this original watercolor on 300# watercolor paper. The painting is 11 x 14, matted and framed to 18 x 22. It will be shipped flat.